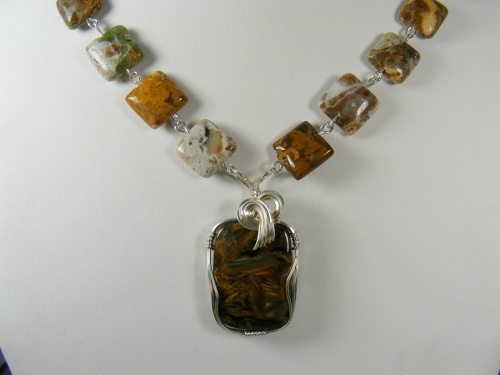 This gorgeous necklace is made of square jasper gemstone beads with a dramatic deep caramel colored pertersite focal gemstone. Sculpted in sterling silver swirls, makes the focal just pop with vibrancy. Piece comes with complimentary earrings and measures 18" long.